Developers can get the new code, build 16R5283r, so long as they've obtained the right configuration profile from Apple's Developer portal. With that in hand, they can push the update to an Apple Watch using the Watch app on a paired iPhone. Apple doesn't make watchOS betas available to the general public, since there's no easy way of reversing an installation if something goes wrong. Some developers trying watchOS 5 encountered their own installation troubles, ranging from downloads failing to complete to Watches booting back into watchOS 4. Some Series 2 Watches were rendered unusable. 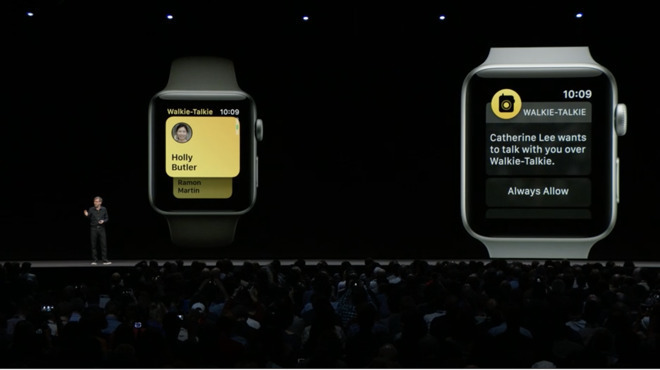 watchOS 5 promises a number of upgrades, such as a Walkie-Talkie mode, Activity Competitions, and auto-workout detection. It should also be easier to interact with Siri, and Apple is implementing long-demanded podcast support so that people can listen to shows without their iPhone being nearby. The finished version is due this fall. It will be the first watchOS update to forego support for the first-generation Apple Watch, which shipped in 2015.